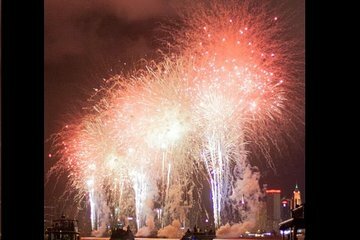 Hong Kong’s annual National Day fireworks display, commemorating the anniversary of the founding of the People’s Republic of China, is a spectacular show, drawing massive crowds to Causeway Bay to watch. Avoid the Causeway Bay crowds; instead, enjoy an uninterrupted view from your private yacht cruising on Victoria Harbor. Enjoy dinner on board before the show, then watch the colorful fireworks explode above you on this one-of-a-kind night cruise.